New Trump attack on ACA: Why now? New Trump attack on Obamacare leaves Dems wondering: Why now? The announcement Monday night that the Department of Justice had shifted its position on the Affordable Care Act and would not defend any part of it in court drew a swift — and somewhat puzzled — response from leading Democrats. The unexpected filing in the Fifth Circuit Court of Appeals, where a challenge to the ACA — or Obamacare — is being heard, came right in the middle of the Trump administration’s victory lap over the conclusion of the special counsel investigation into the 2016 election. It left Democrats simultaneously outraged at the latest attack on health care and mystified that the administration would want to divert attention away from its good news with such a controversial action. As the headline on the Washington Post op-ed page put it: The Trump administration just handed Democrats their best 2020 issue. Democrats, even as they have been demanding the release of the full Mueller report, were mostly accepting as a fait accompli that the president would not face charges by the special counsel and were moving on to what they believe will be the big issue in the 2020 election. As is usually the case nowadays, most of this reacting took place on Twitter. 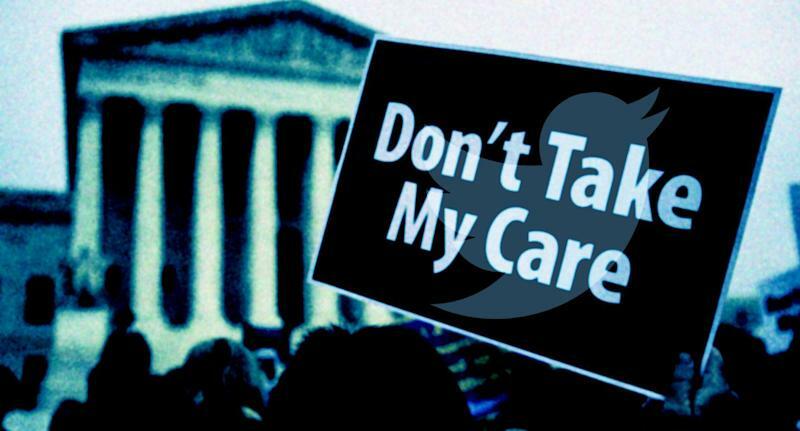 In December, a U.S. district court judge in Texas, ruling on a challenge to the ACA by a number of Republican-led states, struck down the entire law as unconstitutional. The Justice Department, which had been arguing in the appeals court that portions of the law should stand, has now said it will no longer defend any part of it. If that position prevails, millions of Americans who had been relying on the ACA for coverage would lose health insurance. Yesterday the Trump DOJ launched a full fledged assault on every single part of the Affordable Care Act - the 30m who have insurance, the protections for preexisting conditions. And they’re hoping you will be so distracted by Mueller that you won’t notice or care. Trump, responding to question about the Justice Department's move late Monday to overturn Obamacare: “The Republican Party will soon be known as the party of healthcare. Watch." Another notable thing about the timing of the DOJ memo is that it lands on the ninth anniversary of the signing of the ACA. House Democrats had already scheduled the rollout of legislation to strengthen the preexisting condition clause of the ACA, and that announcement was quickly recast as a return of fire against the administration. “Democrats are introducing our new bill to #ProtectOurCare and lower health care costs for millions of Americans at 2:30 pm ET,” House Speaker Nancy Pelosi tweeted. A number of declared candidates for the 2020 Democratic presidential nomination also weighed in. And some candidates used the event as a chance not to defend the ACA, but to push for even broader policies of their own. Bernie Sanders: “Over 30,000 Americans could die every single year if Trump gets his way and destroys the Affordable Care Act. Our job is to fight back against his efforts to take health care away from millions of people. We must make health care a right through Medicare for All." Over 30,000 Americans could die every single year if Trump gets his way and destroys the Affordable Care Act.